Why is a kitchen degreaser important? Do you remember the stubborn stains, oil residue, and the annoying greasy feeling all throughout your kitchen counters, sink, and even utensils? So much with that cooking passion that it always leaves me scrubbing the surfaces so hard just to bring back the freshness of my kitchen. 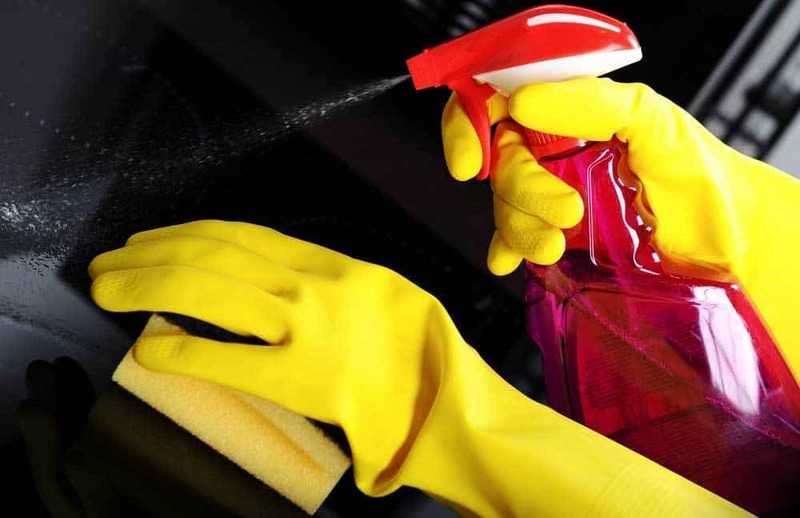 Kitchen degreasers are a special chemical formula that effectively and quickly takes all those grease and stains away. Notably, the formula mix is gentle enough to keep the whole place in one piece. Kitchen degreasers are so effective that you do not need to exert much effort in cleaning anymore. With this, you will finish quick and early thus saving you more time to rest. Using the formula does not only give you comfort but worry-free cooking and grease-free kitchen. You will find plenty of kitchen degreaser brands out there that you will find it difficult to choose. If you are not yet familiar with this product, you may get confused. That is why a buyer’s guide is useful for buyers like you. + Level of strength: Commercial degreaser is a special formula to get rid of those accumulated old and stubborn grease, dirt, and stains. Expect that it is stronger than the residential degreaser that you commonly use. Restaurant kitchens normally apply this type of degreaser since their kitchen are more frequently busy than your home. After all, monitoring on hygiene and safety requirements are keeping an eye on them. Accumulated grease is a fire hazard and a risk for slipping injury. For it to work well, make sure to follow the instructions. Therefore, if the area has tough grease, you need a commercial degreaser first hand. However, I advise using a residential degreaser to maintain the cleanliness. Take note that the stronger the strength of the formula, the stronger is the effect in your nose and hands. I recommend that you use a facemask, goggles, and gloves (until the elbow) to protect you from harm. + The kind of surfaces applicable to degreasers: Be careful to read the label upon buying kitchen degreasers. You will learn that each formula is suitable to clean a specific type of surface. You may find products that apply to multiple types of surfaces but not all of it. You will find two (2) types of degreasers in the market. The all-purpose formula can clean dirt, stains, and grease from specific surfaces only. Usually, it is safe to use on glass and metal but not on wood. The all-surface formula is safer since it applies to the most type of surfaces and is milder than the all-purpose degreaser is. + Is the formula harmful to the environment? Degreasers are usually a blend of natural and synthetic components. You may buy it from a trusted store or anywhere, but still, the ingredients will give impact to our surroundings. It will add on to the existing air, land, and soil pollution. Hence, it would be best to pick organic or eco-friendly kitchen degreasers to minimize the environmental effect. Organic kitchen degreasers, however, will be milder and may give you a hard and long time to clean your kitchenette. However, eco-friendly products, on the other hand, are a mixture of synthetic cleaning chemicals and naturally derived components that is powerful enough to clean heavy grease but has a lesser negative environmental impact. + Method of application: I find spraying the best method of applying degreasers. Most of the products you will find come in a spray bottle, so you do not need dispensing at all. However, if you want to reuse the spray bottle, you can always buy a big bottle of the degreaser and dispense it to your existing spray bottle. Spray the formula on the dirty surface. I leave it for a few minutes before cleaning and wiping it off. As a tip, I prefer buying the kind of degreaser that has a wonderful scent (usually lemon, lavender, and rose) so not to suffer from the strong odor after. I insist that you check on the label and find out the ingredients before buying. Makes sure that it does not contain harmful scent for the family and pets. When you have bought the kitchen degreaser of your choice, you may want to follow certain tips to ensure safety at home. Being proactive can prevent hassles and save lives. Therefore, use your kitchen degreasers appropriately. Keep your bottle of kitchen degreaser away from the fire. Ingredients of this formula are highly flammable. Make sure not to use them near flames to prevent ire accidents. Before applying it directly to surfaces, you may want to test a little amount of it first to make sure that it is effective in removing the grease, and not the finish of your table. Read the label especially about the ingredients and safety precautions. Do you want one now? Below is my hot list for the best kitchen degreasers found at local stores and online. They got the highest positive reviews and recommendations from distributors. Choose one that meets your needs! Who likes cleaning with a fresh scent of oranges around? I describe the scent as mild though, more like a lemon smell with a light clean fragrance. The delicious smell lingers in your walls and floors after cleaning leaving a home space a fresh and tidy feeling. The Chemical hut all-purpose cleaner is a concentrated natural orange scented citrus that can eliminate dirt, stains, and grease from surfaces like tiles, grout, sinks, tubs, shower, and toilet bowls. What other possible reason why you need to tidy up? The formula has the strength of hydrogen peroxide with a water-soluble surfactant system that makes an excellent degreaser and cleaner. It is always a relief to know that your multi-purpose degreaser is not only multi-surface cleaner but a deodorizer as well. It simply eliminates odors from its source. It is perfect for glass cleaning and carpet spotting too. You can dispense this formula in a bottle spray for your convenience. Spray it directly on floor polishes and adhesives, and it safely strips it off without damaging the surface. This formula is a favorite in removing stubborn grease in the kitchen and bathroom. Read the label carefully and do not use it on a surface not mentioned on the label without testing it first. I recommend trying it on a spot first before using it entirely. Do not forget to wear your gloves and safety goggles too. I like to dilute mine with water (50-50) to save but it still works excellent. Soak the surface with the solution for an hour (depending on how dirty the surface is) and clean. Are you looking for a degreaser that is useful to all areas that you need to clean? Stanley is a multi-surface degreaser that dissolves build up grease and grime in just a few seconds relieving you from tough manual labor. This is not just multi-surface, which means you can apply the solution to multiple types of surfaces, but it is a multi-purpose cleaner as well. Either you are comfortable to clean using soft or hard water, but this product will perform either very efficiently. 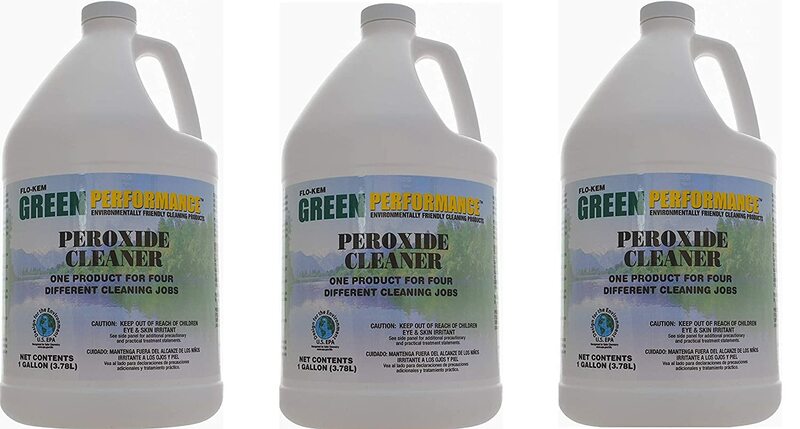 This multi-purpose formula cleans dirt out of your cookware, grills, dishes, woodwork, laundry, equipment, and tools and is strong enough to eliminate stubborn messes. Take note that a bottle would make 32 gallons of a powerful solution. That already is cost effective and very useful during your scrubbing. I usually prepare two types of solution out of my Stanley degreaser. I suggest you do the same, so you do not have to make it every time. For stubborn grease, make a full-strength mixture. For lighter cleaning, dilute the solution to make it mild. I do dilute it with water to the exact blend that I need. However, many use it directly from the bottle as well. Do not worry; this product is a biodegradable and phosphate-free formula, so it is safe for you and the rest of your home. You can clean your place even with your kids playing around. 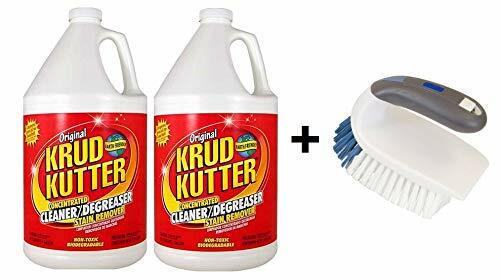 Krud Kutter did not only bring out the best kitchen degreaser but paired it with an iron handle brush set for the buyer’s added convenience as well. If you are looking for a degreaser formula that can clean your home without the strong bad odor, then this could be your pick. This degreaser is always the first choice when it comes to eliminating dirt from tiles. Therefore, if you have a problem of stubborn dirt in your kitchen sink and your bathroom tiles, try using Krud Kutter to see the difference. This USA made the product is water-based, non-toxic, biodegradable, non-flammable, and xylene-free. 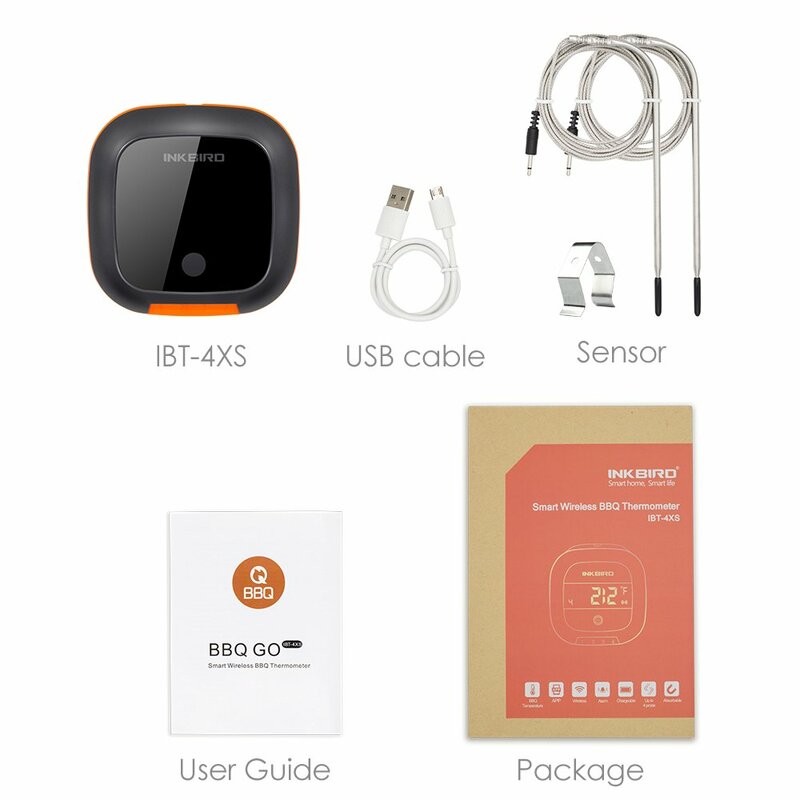 I have already mentioned the factors that make this solution safe to use at home even when your kids are around. Whether at the office, an industrial environment or at home, this solution works just the same. Hence, there is no need for you to buy different types of degreasers and cleaners for a specific application. Remember that the multi-task cleaner is at the same time a degreaser, stain remover, and an exterior house wash. It can take care even with the most stubborn dirt, grout, grease, and stains, leaving the surface spotless even without rinsing. I have tried it on my stained carpet one time, and it did an excellent job. The trick is to pre-soak the affected part first with the diluted solution and leave it for half an hour. After then, proceed the cleaning. It was amazing how it made the carpet look like brand new. The greasy kitchen is gross considering it is where you cook the food you feed for the family. A dirty bathroom is another downer too when it comes to hygiene. Therefore, when you have problems with accumulated grease, vegetable or animal fats, and even oil, Goo Gone kitchen degreaser can take care of those for you. It is important to choose the right product that will perform as you expect. 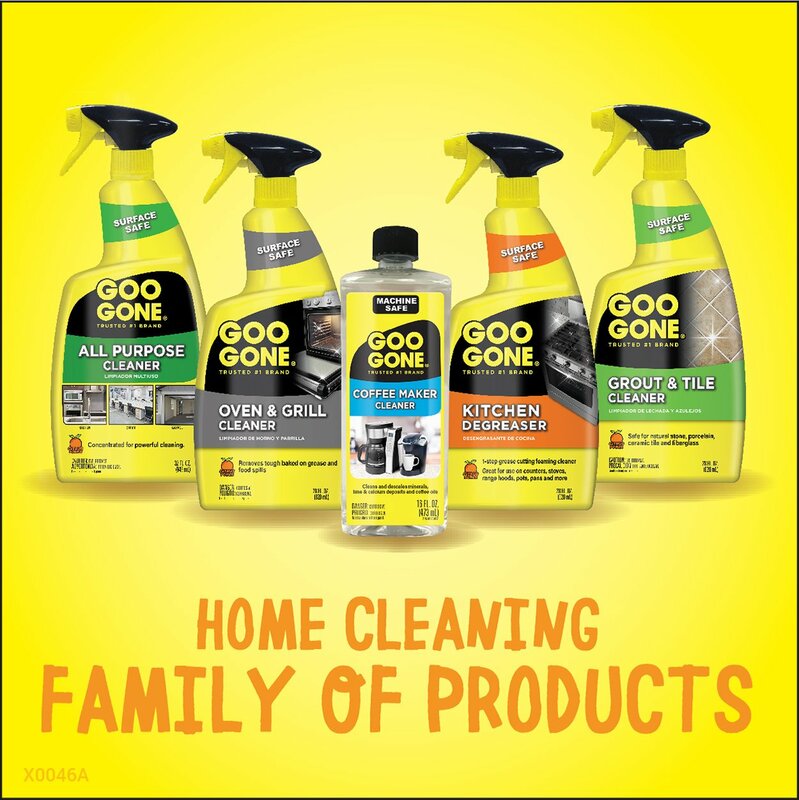 Trust that Goo Gone Kitchen degreaser is safe to use on any type of surfaces and leave your kitchen spotless. You can apply it to counters, stove, range hoods, pots, pans, finished wood, sealed stone, glass, plastics, ceramics, and porcelain. Hence, you will not only keep your kitchen tiles spick and span but the whole area as well. Check and read the label before you use and see various surfaces that it is applicable when cleaning. You can use the solution on ceramic tiles and synthetics and some worktops too. Your bathroom will become a safe haven even to your little ones. It is convenient to choose using Goo Gone that comes in a spray bottle. Do you know what to do? Just one spray on the affected area, leave the surface for a minute to soak, then wipe it out with a cloth to clean away. Make sure to soak your cloth with warm water before using it to wipe. If the grease is too thick and stubborn, you can repeat the treatment until it is completely gone. Take note that this does not apply to high gloss varnished wood surfaces, and you must always use this formula in a well-ventilated area. One bottle of 16 ounces Citra Solv natural cleaner and degreaser will make over two (2) gallons of general purpose cleaner with real essential oils. Not bad for a reasonable price. This formula is perfect for your everyday cleaning and removing the toughest stains and grease at home. It would be practical to keep a bottle anytime at home for immediate use. The solution guarantees that it is free of animal cruelty during manufacturing. Therefore, for all vegans out there, this product should pass your standards. With the citrus scent, this kitchen degreaser is a natural and versatile solvent that is particularly a powerful general purpose cleaner that removes the most stubborn dirt. It would be nice to wipe it all over the kitchen, bathroom, and all over the house while spreading the sweet, juicy, and delightful scent of Valencia orange. Users claim that this product is their favorite when it comes to cleaning floors and clothes. It is amazing to know that aside from the house, this cleaner also works with our dirty and stained clothes as well. I love the thought of a versatile product since it does not only save money but the fact that it only needs a small effort. Just take note that when you leave the spray in time, the water and the vinegar separates. If this happens, just shake the bottle, and it is good as new. Citra Solv kitchen degreaser does not only provide a hygienic place to live in, but clean and fresh clothes to wear as well. I am serious when it comes to cleaning. The kitchen is not just the area of my priority but the clothes as well. For me, the best kitchen degreaser must be multi-purpose, effective, but mild and gentle to my hands. If it gives off a fantastic scent as well, then it would be a bonus. The top five on my list have different reasons why they reached the top. Flo-Kem ranked top because of its irresistible citrus scent that fills the whole house. 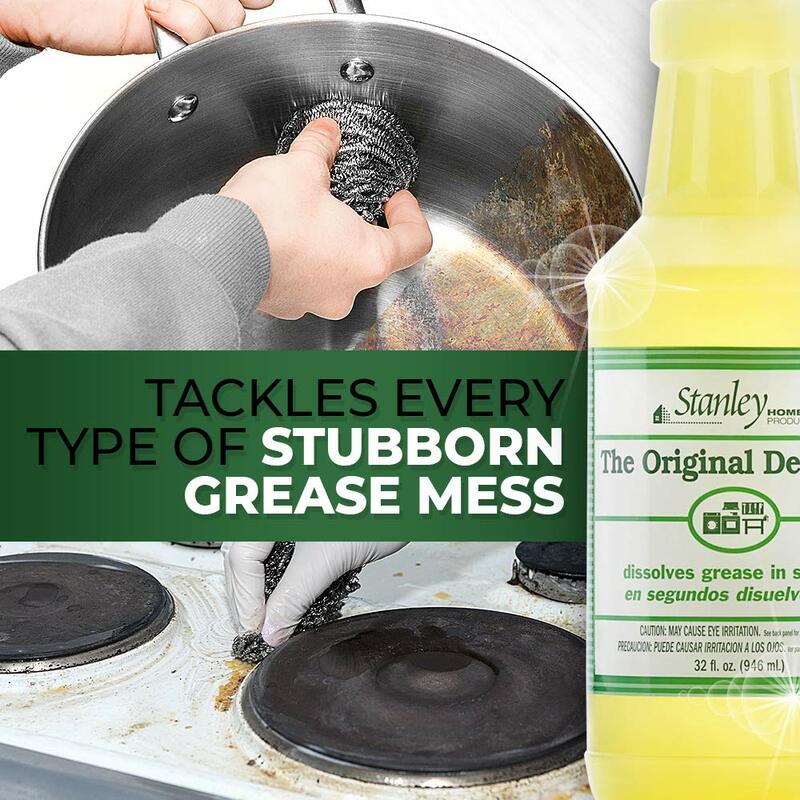 Stanley Home Products, on the other hand, is the best pick for all-surface degreaser. Meanwhile, Krud Kutter comes out, as the reviewer’s favorite because it is safe and environmentally friendly. However, the winner of the degreaser that many affirm as the best cleaner to remove grease is Goo Gone. If you are looking for a formula with a reasonable price and performs well at the same time, you are looking for Citra Solv. 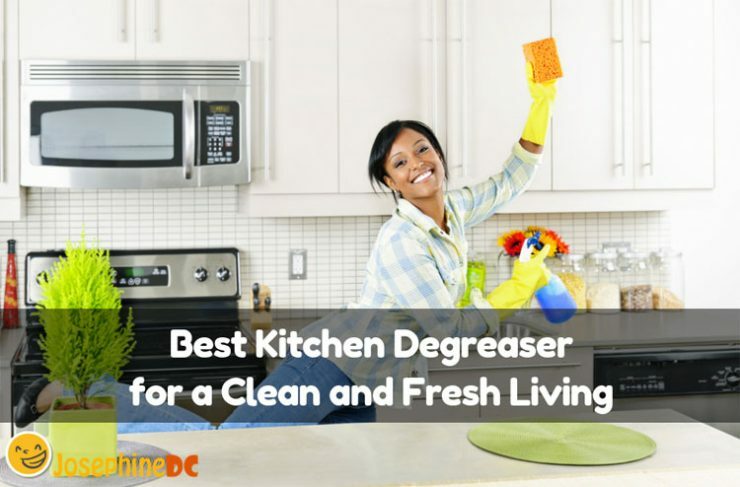 Have you decided on the best kitchen degreaser that is perfect for your cleaning routine?